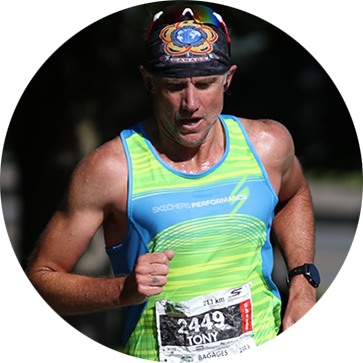 As a member of Team Heart, you will train with professional triathlon coach Rick Hellard and Ultraman Athlete Tony O’Keeffe. You will prepare for the ultimate physical challenge with the support of a team that understand and shares your personal and physical goals with guidance from professional Rick and Tony who also happen to be Heart Institute patients. A military professional for over 30 years, I served as an Airforce officer with the Canadian Armed Forces in flying operations at tactical and command level, and on multi-national/ coalition operations in Bosnia Herzegovina, Saudi Arabia, Iraq and Afghanistan. I did my first triathlon (1989) while stationed at 4 Wing Cold Lake AB which led me, eventually, to elite level competition. Along the way, I logged a lot of miles and made a bunch of mistakes. My name is Rick Hellard, and I am the Head Coach (okay, the only coach) at Zone3sports. 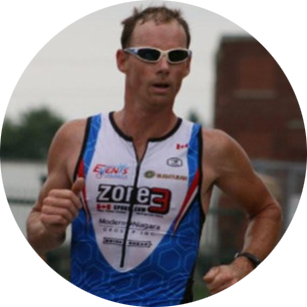 I have been living in the triathlon world for more than 30 years. I have pretty much done it all and would love to share my knowledge and experience with you, in the hope of keeping you from making mistakes you don't need to make. My workouts are productive, interesting and fun. As a result, you will avoid mistakes, want to do the workouts, and therefore, improve.